Like people, pets often develop orthopedic problems that affect their ability to move comfortably and enjoy their lives. Both cats and dogs can have orthopedic issues, and these must be carefully diagnosed and treated. At Animal General in New York City, NY we can provide the experienced orthopedic care your pet needs for normal function. Orthopedics is a medical specialty that deals in disorders of the muscles, bones and spine. In veterinary care, these areas are involved in the animal’s mobility and can cause a variety of problems that have a significant impact. Your pet may experience symptoms such as limping, inability to put weight on a limb, difficulty getting up, less inclination to exercise, chronic pain and reduced quality of life. An orthopedic exam includes a full medical history and a discussion of any problems with movement the owner has observed. The vet will palpate the animal to detect any abnormalities in bone or joint structure. The vet may also observe your pet’s gait as he or she walks to detect unusual movement. Tests such as x-rays and ultrasound can provide important information about abnormalities of the bones or abnormal growths. Fractures of bones are one of the most common orthopedic problems veterinarians see in their practice. Arthritis is another common problem that is often seen in older animals. Some small breeds of dogs are subject to patellar subluxation that causes their kneecaps to slip out of position. Some large breeds of dog develop hip dysplasia that affects their ability to move their hind legs. Cats may experience fractures from accidents or fights with other animals, tendon injuries or arthritis from wear and tear that results from aging. Surgical procedures can help to correct many of these problems and can restore normal function. 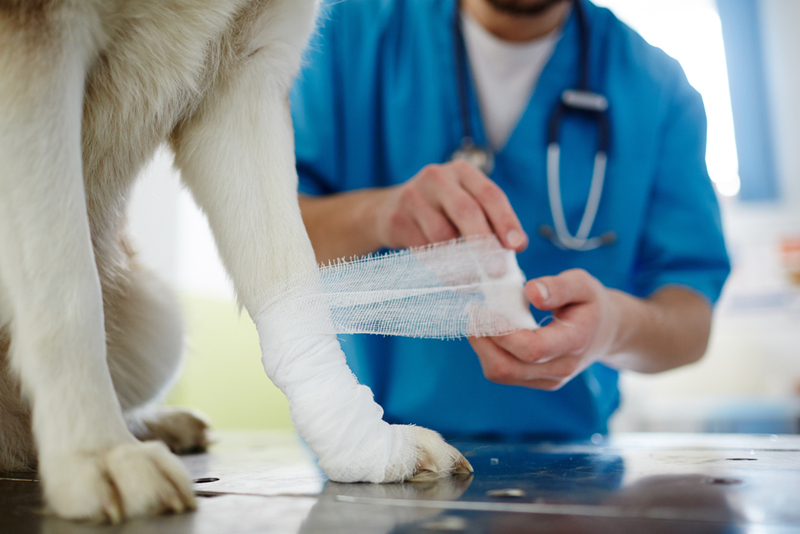 The post-surgical period is an important step in restoring full mobility to an animal. Your veterinarian will provide instructions on administration of antibiotics and pain medications, wound care, feeding and activity restriction. Your follow-up visits to the vet are critical for ensuring proper healing. If physical therapy or additional care is needed, your vet will be available to help your pet regain full function. Make Animal General Your Vet for Orthopedic Pet Surgery in New York City! Dr. Howell, Dr, Yang and Dr. Klafin understand how important your pet is to you and your family. We provide comprehensive veterinary services for all stages of your pet’s life. Call Animal General today at (212) 501-9600 for an appointment to have your pet screen for orthopedic problems and learn about options for treatment.